Set in a prime location of Seremban, D'Sora Boutique Business Hotel puts everything the city has to offer just outside your doorstep. Offering a variety of facilities and services, the hotel provides all you need for a good night's sleep. Free Wi-Fi in all rooms, 24-hour security, convenience store, daily housekeeping, wheelchair accessible are there for guest's enjoyment. Guestrooms are designed to provide an optimal level of comfort with welcoming decor and some offering convenient amenities like television LCD/plasma screen, complimentary instant coffee, complimentary tea, linens, mirror. The hotel offers various recreational opportunities. D'Sora Boutique Business Hotel combines warm hospitality with a lovely ambiance to make your stay in Seremban unforgettable. Hotel Seremban Jaya located at Seremban. Hotel offers strategic location and easy access to the lively city has to offer. Hotel require 45 minutes drive away from Kuala Lumpur International Airport and 15 minutes away from Seremban town centre. Hotel offers wide range of services and facilities to ensure guest have a pleasant stay. 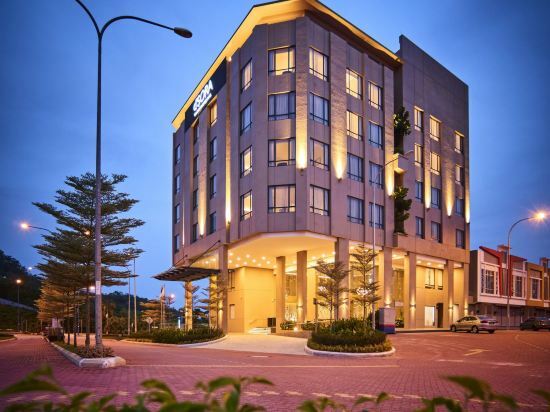 With its strategic location and convenient accessibility, it made hotel one of the ideal place of stay for both business and leisure travellers in Seremban. Book your hotel on Trip.com for an amazing travel experience. Book hotels in Seremban via the Trip.com website or app, it's easy and hassle-free. Seremban is a quiet city. You'll definitely feel relaxed during your visit. Seremban may not be a metropolis, but there are still great hotel options on Trip.com. Seremban does not have civilian airport. You can fly into a nearby city and come here using another method of transportation. Although there aren't any airports or train stations, visitors can come to the city via bus or other means of transportation. Seremban is not a tourist city, so the hospitality industry there isn't very well-developed. Many hotels can only be booked on location. When looking for hotels in Seremban, there are likely good options at a nightly budget of just 35 USD. There are 1 four-star hotels in Seremban at an average price of 58 USD per night. There are 1 three-star hotels in Seremban at an average price of 50 USD per night. There are 1 two-star hotels in Seremban at an average price of 15 USD per night. Unique local hotels in Seremban provide guests a unique and fresh feeling. Fame Hotel in Seremban is a favorite among Trip.com users. Many tourists also stay at Five Hotel. If you stay at a hotel in downtown Seremban, nearby attractions like Church of The Visitation can be your first stop. The most popular attractions for tourists in Seremban are Centipede Temple, Seremban Cultural Complex, Muzium Negeri Sembilan. 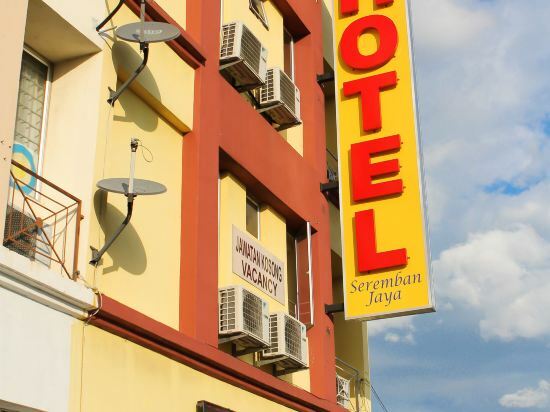 Seremban hotel information & deal: Check out room rates, photos, a map and reviews of hotels in Seremban and find the best deals on Seremban hotels. Trip.com offers big savings on online reservations for Seremban accommodation. Book Seremban vacation packages and Seremban tours with huge discounts on Trip.com!